This entry was posted in Things to do and make and tagged food, food wordsearch, fruit, health, health food, puzzle, things to make and do, vegan, vegan word search, vegetables, vegetarian, word game, word search. Bookmark the permalink. ← New Fully Raw Kristina Book! I’m not a vegan. But this blog bowls me over with wonder. 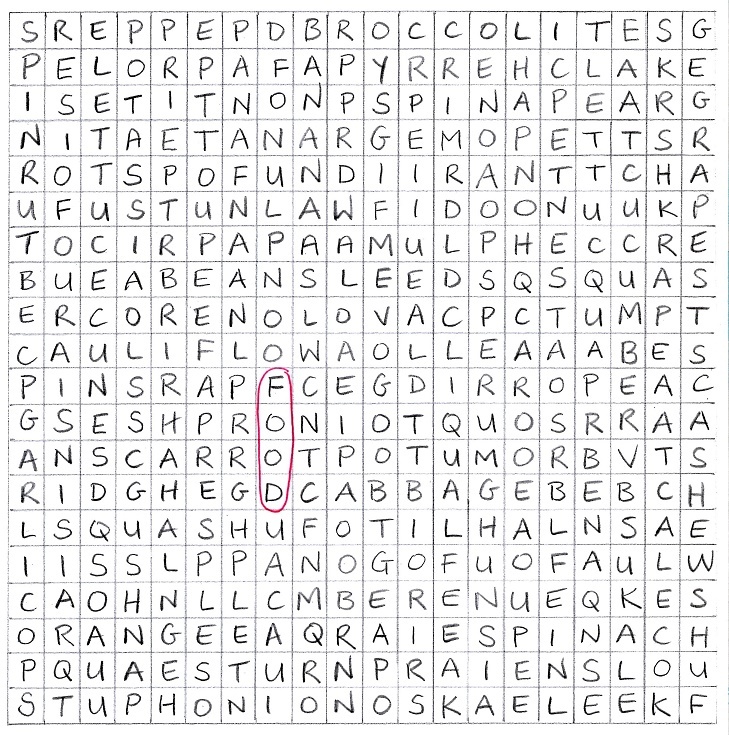 A food word search? I’m speechless with admiration. Excellent! Beware I also found a ‘raie’ (the fish). But I coudn’t find alas ‘water’ or, better yet, ‘wine’. Maybe beer for the poor. No animals in there… 🙂 Bravo!